Park Benches for the Public Environement Why would you raise a toilet seat? Bath Spa University came to geViews in 2016 to find a solution to their cigarette and small litter problem that was beginning to clutter the campus, giving a bad impression to visitors and students. Cigarette butts and chewing gum were being discarded around bus stops, building entrances and halls of residence without thinking which meant grounds maintenance staff were spending valuable time keeping the campus clean and tidy. 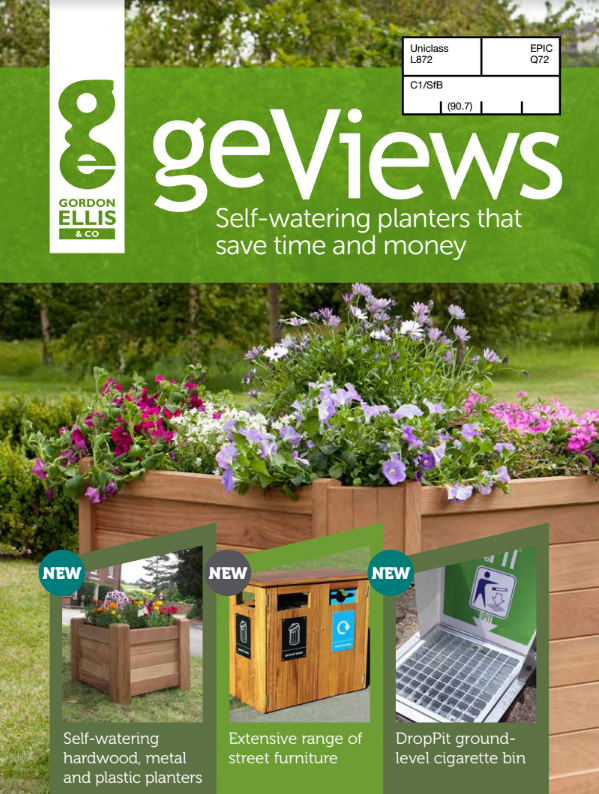 geViews thought the ideal solution would be the DropPit Cigarette Bin. 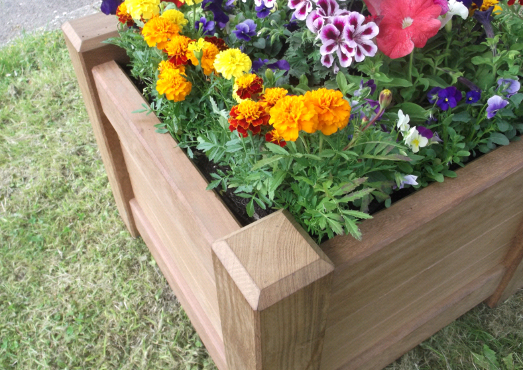 The DropPit is easy to install and sits at ground level so it doesn’t spoil the street scene. 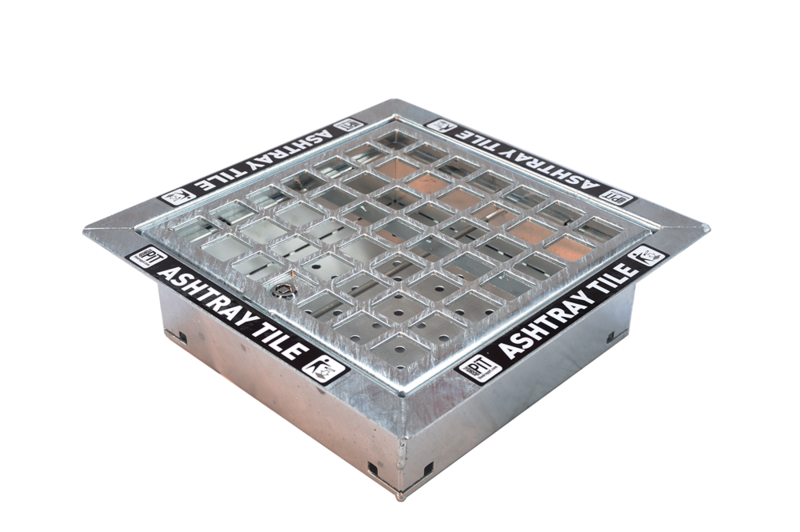 A signage tile will indicate to smokers where they can drop their ends and any butts which escape the DropPit can easily be swept into the grid. Thanks to its’ unique locking system, the DropPit is user-friendly and hygienic and can be emptied with a key by authorized personnel only. The tray has a perforated bottom for effective drainage of water and this litter solution eliminates the need for cumbersome and space consuming litter bins which can look dirty and unsightly. 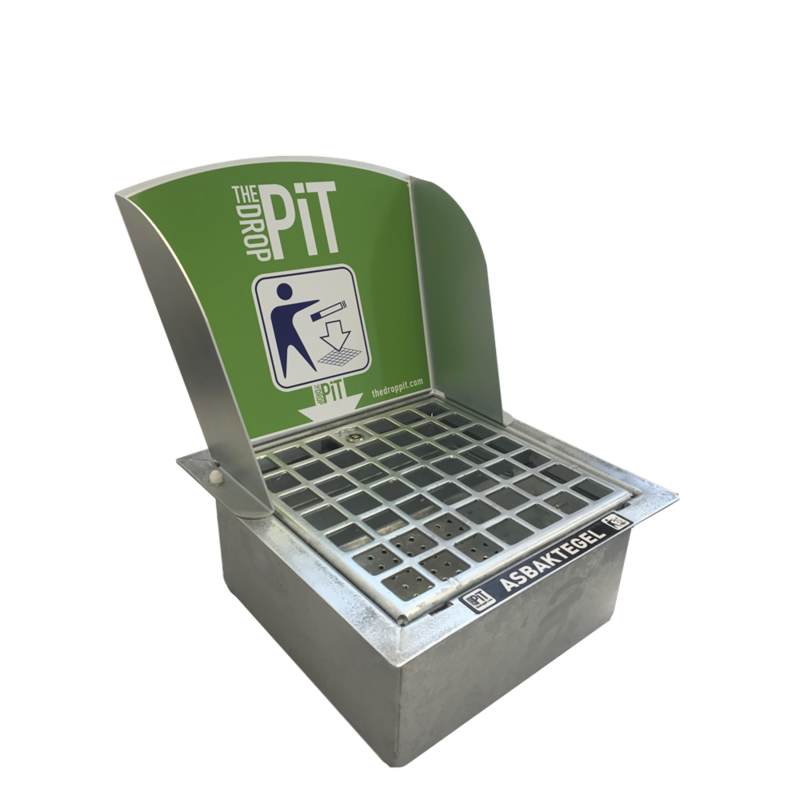 The University installed the DropPit bins at their campus bus stops to begin with as they found the most cigarette litter accumulated there. After finding them to be a success, they then installed them in other areas of the campus such as entrances to buildings and designated areas where smokers gather and drop cigarette ends onto the floor. This saved them time and money, making the campus look cleaner and tidier with less effort and giving a great first impression to the staff, students and visitors. "We have installed a number of the DropPits at key points around the campus, they are unobtrusive but have been well used which has had a positive impact on the appearance of the site." 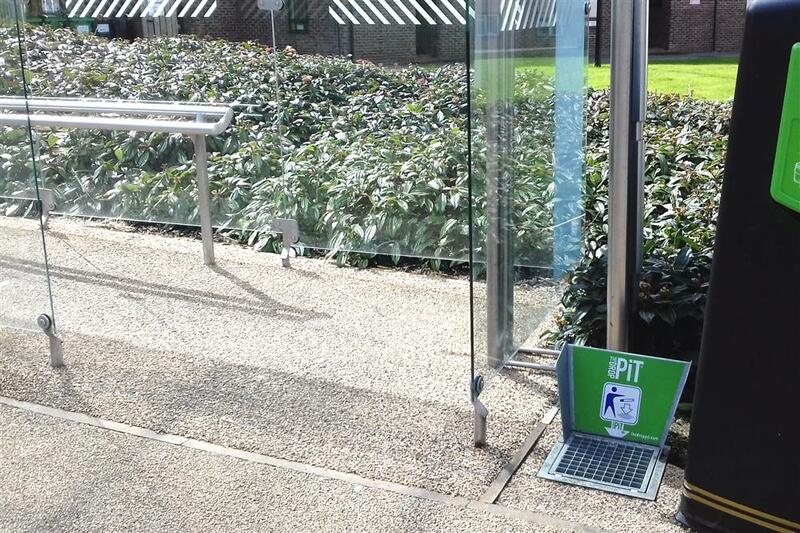 DropPit installed at bus stops around the campus. The DropPit cigarette bin is ideal for University campuses, grounds and outdoor facilities, bars, smoking areas and entrances to buildings. Cigarette butts and chewing gum are annoying but they need to be dealt with and the DropPit is the ideal solution without spoiling the surroundings. Whether installed in modern, unique student accommodation or situated around the historic architecture of traditional University buildings, the DropPit is discreet, meaning it won’t stand out and look intrusive in any area of the campus. For more information about installing a DropPit please don’t hesitate to contact us. Tiffany colgantes son famosos en todo el mundo. Son conocidos por el estilo sin restricciones y diseño increíble. Son los sueños de cada mujer que tiene un gusto único en el mundo. Cada Tiffany colgantes es especial y único, y nunca se puede encontrar el mismo en todo el partido. Nuestra Tiffany Co Outlet son susceptibles de satisfacer sus deseos todos. Además, proporcionamos el envío libre dondequiera que vivas. ¿Que estas esperando? Por favor, tener una visita a nuestra tienda en línea. ¡Bienvenido! Características del producto:Nombre:[b]Tiffany u0026 Co 1837 pendiente redondo[/b]Material: plata de ley 925Garantía: Garantía de calidad superior, el 100% de garantía de satisfacción.vestido de la correaFabricante: Tiffany OutletWeared muy atractivaPuede ser que muestra la figura temperamento.Paquete: Toda nuestra joyería Tiffany viene con la bolsa de Tiffany, un conjunto de bolsa de Tiffany, una caja de regalo de Tiffany, Tiffany tarjeta de plata cuidado y pulido de tela de Tiffany.